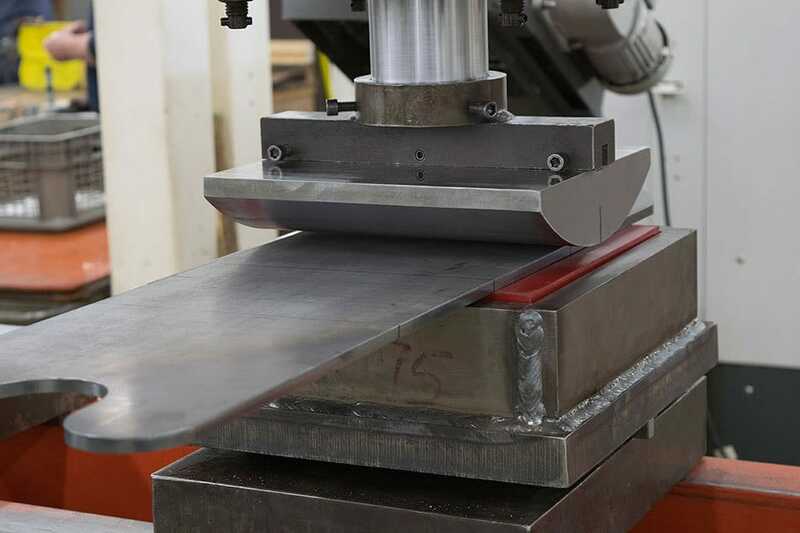 Large Radius Metal Forming with Urethane | Acrotech Inc.
Large radius forming can be quiet complex and expensive with traditional bump forming methods after you add in all of the extra steps involved with part placements and finish work. 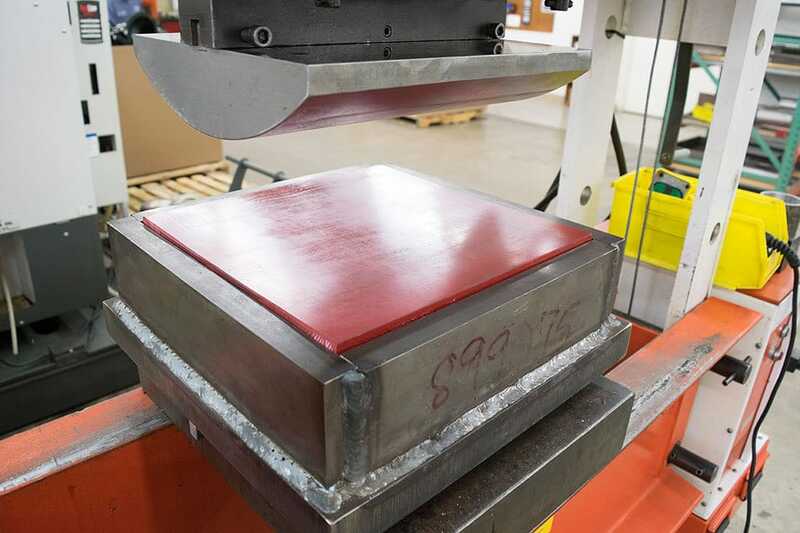 Our custom made die retainer holds the urethane die pad in place and punch is specifically made for your application. The worry of extra steps and finishing is eliminated. When you use urethane as a die pad it will allow your part to come out perfectly formed, mark free time and time again. With this method of forming metal it really allows new designs of parts to become a reality. We also use deflector bars under the pad to help dictate the flow of the urethane pad during forming. This maximizes the efficiency and extends pad life while minimizing the tonnage requirements. Large Radius Forming with Acrotech Inc. Please have a look at the pictures for an example of what we can achieve while using large radius forming tooling with urethane die pads. This particular piece of metal was 1/2″ thick and was formed in one pass with problems at all. If you have a custom application that you think we can help with please do not hesitate to, Contact Us For a Quote Now or to speak with an engineer about your application.